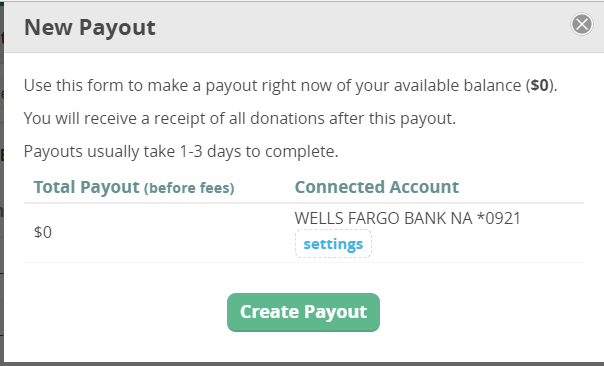 Payouts can only be made after a bank account is set up and your Identity Verification Form is filled out. Access the Transactions Dashboard by clicking on the Piggy Bank icon in the left-hand Dashboard Menu. From the Transactions Dashboard click on the Payouts tab.